JCDC's love affair with lego continues into the summer with these changeable shades. We only really knew the full extent of Jean-Charles de Castelbajac's obsession with Lego when he took the time to orchestrate an alternative version of his S/S 09 Lego with set, spectators and apparel entirely constructed out of that iconic plastic brick. 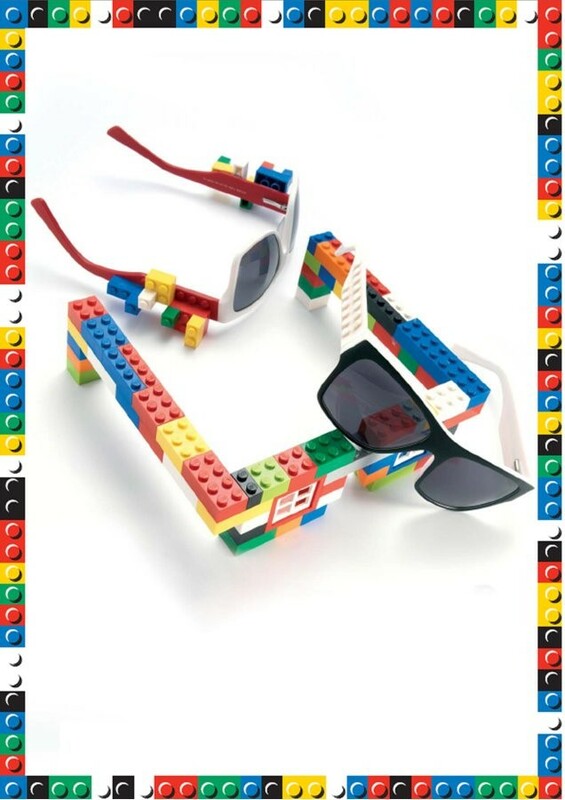 We can now own a piece of that Lego fun with these Plug sunglasses that are fully customisable at the sides. Available in red, yellow and white, the sides are merely the basic foundations for you to construct a Lego empire around your head. With enough bricks, patience and the building skills of a five year old, you could have yourself a visor, a hat or even a rigid Lego wig attached to these frames. Jean-Charles de Castelbajac PLUG sunglasses available now at JCDC stores at 50-51 Conduit Street, London W1 or 10 rue vauvilliers, 75001 Paris for EUR110.